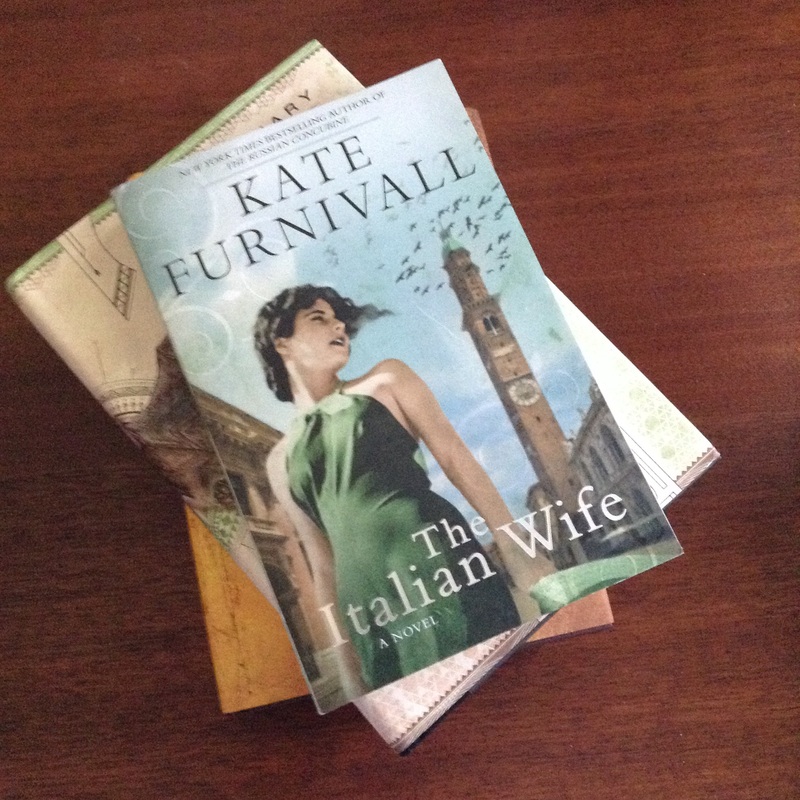 Although I own A Russian Concubine, it resides with so many books as yet unread, but still I look forward to Kate Furnivall’s The Italian Wife, set in Mussolini’s Italy. 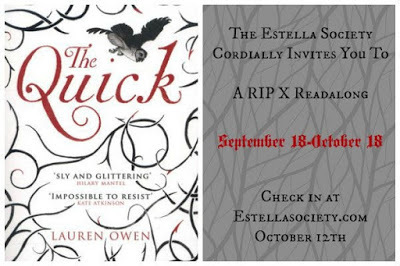 As if those aren’t enough, I’m also going to read The Quick along with others at the Estella Society. They probably began yesterday, although I am beginning today, with a check in at the midway point on October 12. I can’t commit to the entire R.I.P. X, as I have in previous years, but one can’t help not welcoming autumn with such atmospheric reads. 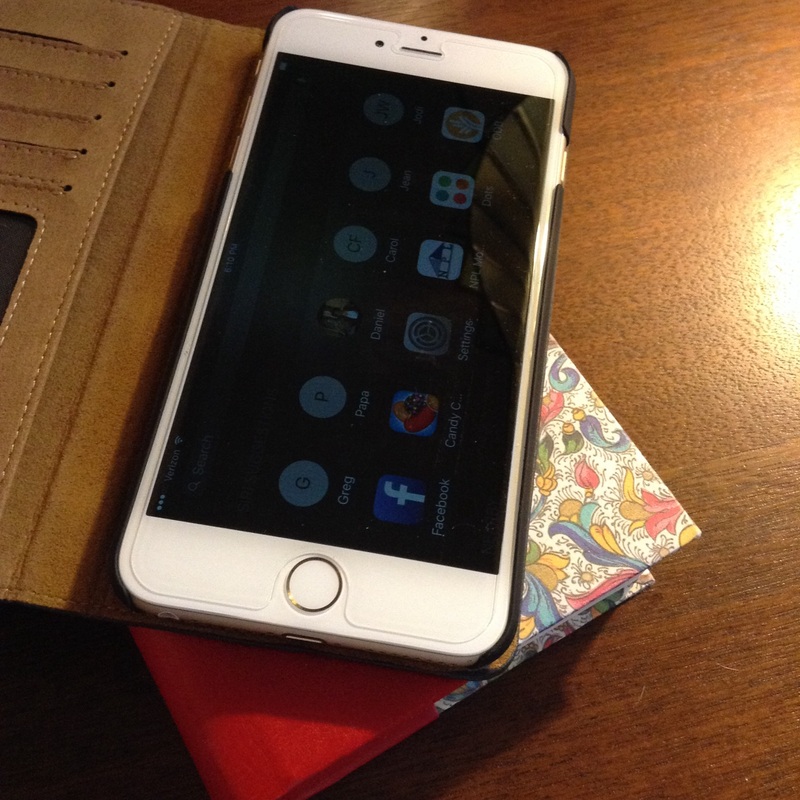 Initially reluctantly, perhaps, but now joyfully, I joined in the group of techies who are holding an iPhone 6 plus (inside its book-like leather cover to the right of my Italian journal). It baffles my family, both parents and husband, as to why I can be so enamored by technological gadgets, but I confess to that truth. I have two Nooks, one Kindle paperwhite, an iPad mini and now an iPhone 6 plus. Each one is so fun. 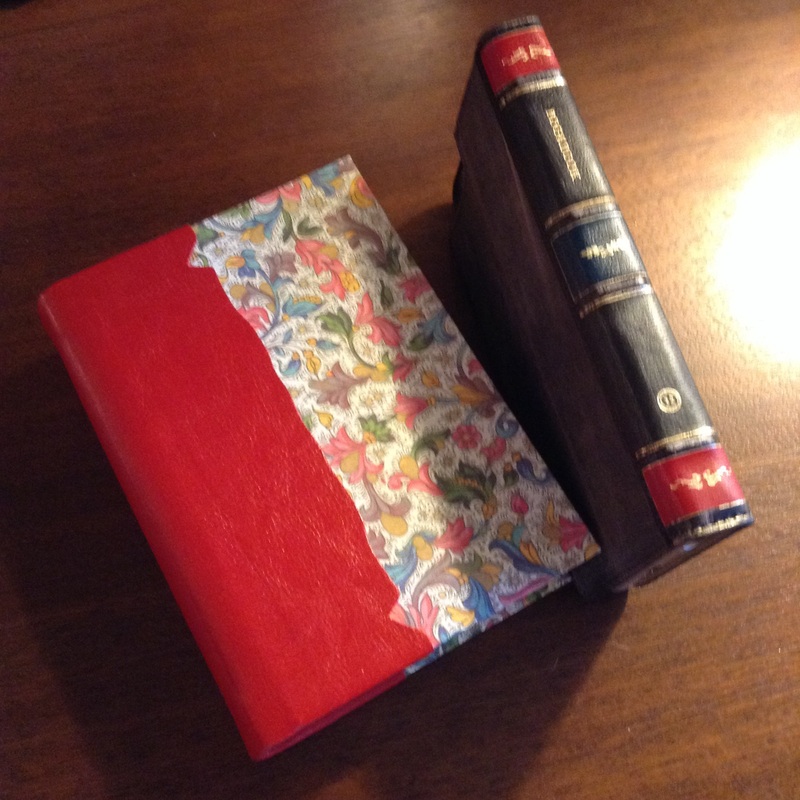 They will never replace my passion for true pages, the scent of a leather binding, or the gold leaf edges of my Bible(s). But, they bring a certain contentment and ease into my life which is irreplaceable. Not to mention necessary to those as young as my third graders. That cover of Emma is so beautiful. 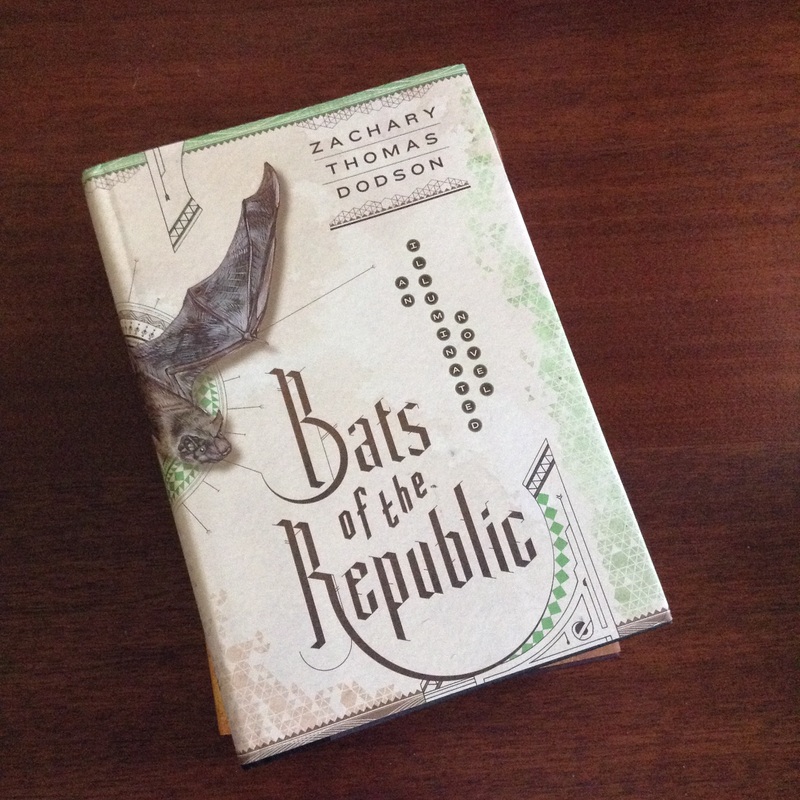 Bats of the Republic looks interesting also. Thanks for showing us these lovely books. Bats of The Republic reminded me, in form of S. by J. J. Abrams and Doug Dorst. 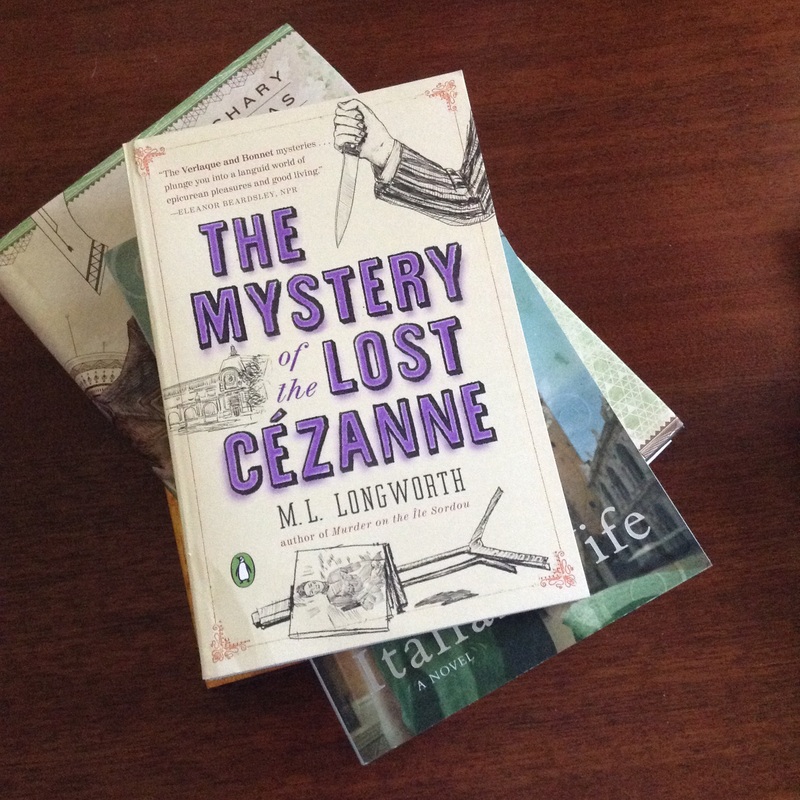 Love the idea of inserts and clues as one reads through the novel, like hidden surprises and treats. I am really coming to notice a difference between inspired and obligated reading, even when I am the person who has taken on the obligation and no one is going to disown me if decide a book is not working for me or if a review is not published by a book’s release date (in the case of advance copies). Sometimes we need to remember who it is we read for first and foremost. It looks like you have a wonderful selection of new books to carry you into the fall. Happy reading. Man, if someone was going to disown me for not reviewing a book in time for its publication date I would be the loneliest person on the planet! I try. Really, I have the best intentions, but either a life obligation (work, son’s antics) or other reading offer (Hey, let’s read for the Booker prize!) pre-empts my plans. I like your reminder to remember who it is that we read for, and, as I used to say in earlier blogging days, I don’t want to turn my joy into a job. The pleasure of receiving books never stops 🙂 as I mentioned earlier, I read on my kindle paper white, or Kidle HD. For me it is economical. The price of hardbacks is out of my reach, and our library carries little, and the wait is long, my patience short when books are involved. You have a lovely assortment of books, I have Geraldine Brooks novel through NetGalley for which I thank them. It seems a great read. Nan, I’m delighted when you stop here, too. It’s true that my reading tastes have grown beyond what might be considered the norm, especially as I have such a passion for translated books. I feel so fortunate to be the recipient of these titles, and at least I can spread the word briefly about them in a single post before I read them (which so often takes forever). Thanks, TJ, but when I look at them on my post I see that my contacts prevented me from getting the focus and clarity I thought I had on my iPhone. Glad you can see through the fuzz, though! I am so excited for The Secret Chord. I can’t imagine another story I would be more excited for Brooks to write! Bats of the Republic sounds so unique. I will have to look into that one! I’m most excited to open The Secret Chord, too. I love the Bible with all my heart, and yet Christian fiction is such a disappointment in its triteness. At least, that’s been my experience. We’ll have to see what Geraldine Brooks does with Kind David, although I’m not expecting a Christian message as much as a wonderful interpretation of his life. 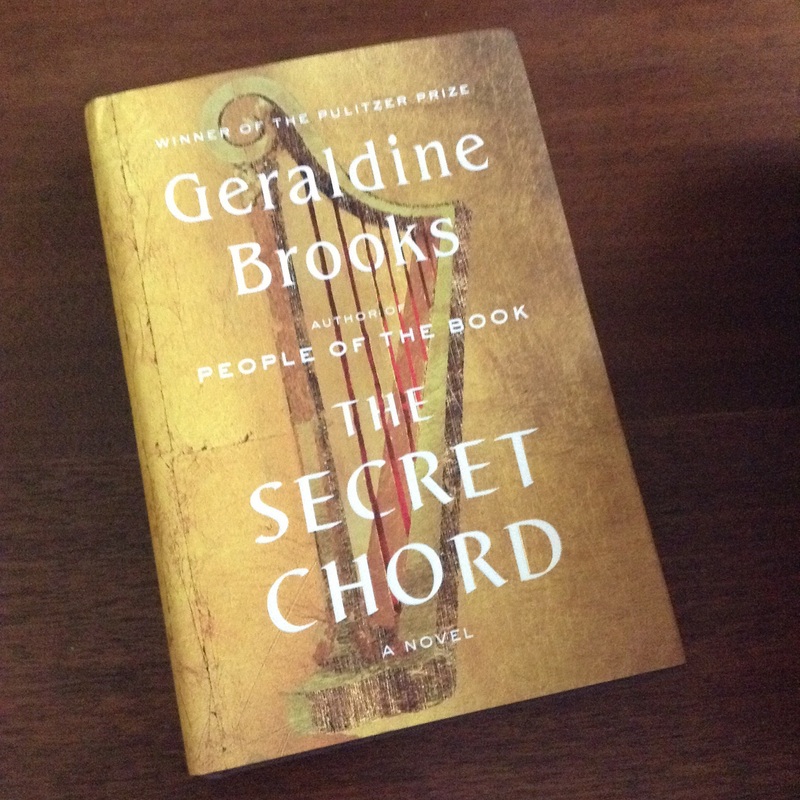 I have a net galley version of The Secret Chord coming up soon on my reading list. I have very little knowledge of this period in history so am hoping that won’t be a barrier to enjoying the book. I hope we can discuss The Secret Chord when we both finish it! I don’t think the lack of knowledge you say you have about the history will block you from appreciating it, though. Just my personal guess. Emma is always fun and what a pretty edition with lots of goodies. I want to read The Secret Chord as well. I’ve loved other books by Geraldine Brooks and this one about King David sounds so interesting. 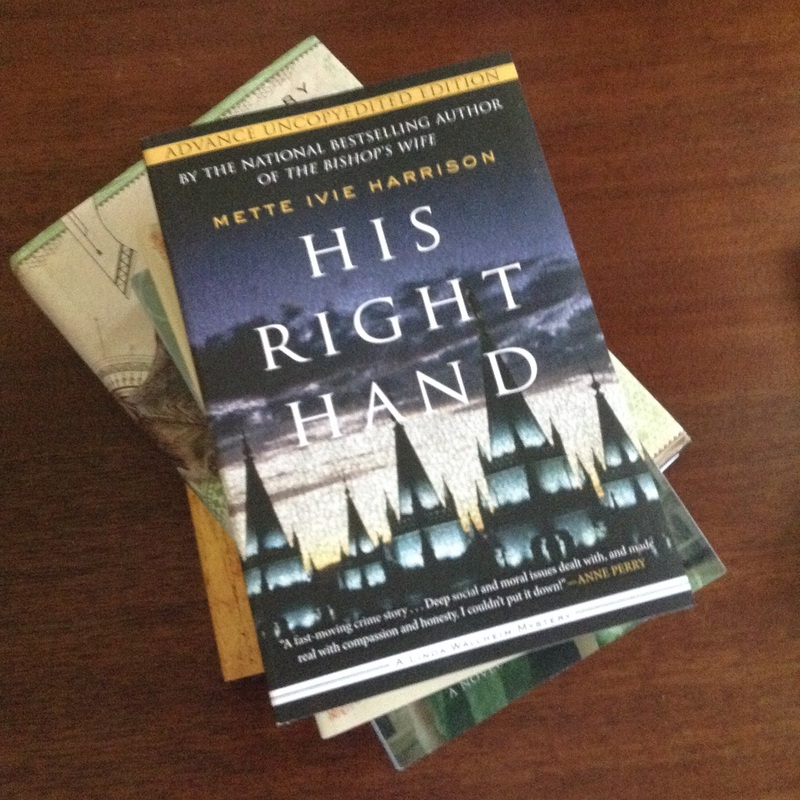 I also want to read His Right Hand, but first I need to read the previous book, The Bishop’s Wife. Have heard good things. Have a good week and I’m hoping for cooler temps for you! So many beautiful books! 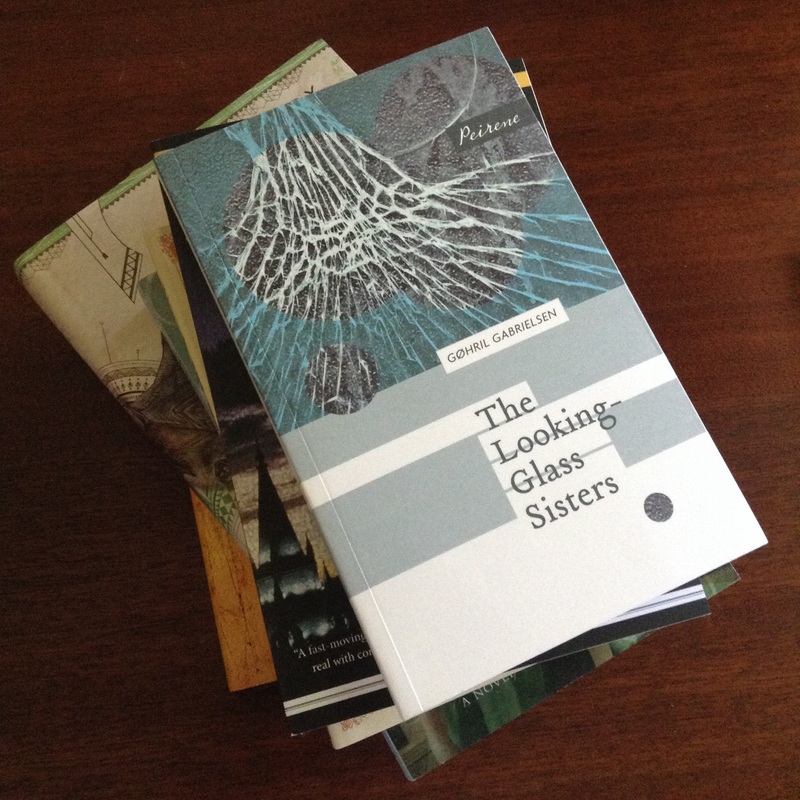 The Looking Glass Sisters and The Italian Wife are especially appealing to me. Love that edition of Emma, too. It is the only Jane Austen I’ve not read… and am not in a huge hurry because not have a Jane Austen novel to discover for the first time makes me sad. The only Jane Austen I’ve read is Pride and Prejudice, but I can see where finishing a beloved author brings a certain sadness. Wow, all those books look beautiful! I have an iphone and love it. I am big into gadgets as well and have to remind myself to slow down. Right now, I am fascinated with the smartwatch and test driving my husband’s Pebble. Not sure what a Pebble is…off to find out. The Apple Watch is expensive. The others are somewhat cheaper. Still, I wish they could cost even less and not almost as much as smartphones. The Pebble is one of the first smartwatches in the market. I have one that’s three years old and it’s as good as the new watches in the market today. I hope it’s as good as Year of Wonders. March was unimpressive to me, so of course it won the Pulitzer. So many prizes go to books I wouldn’t have chosen. I’m curious about The Secret Chord. I enjoy books by Geraldine Brooks. I enjoy most of the books I’ve read by Geraldine Brooks. Not March, though. 😉 We’ll have to see how this one goes. 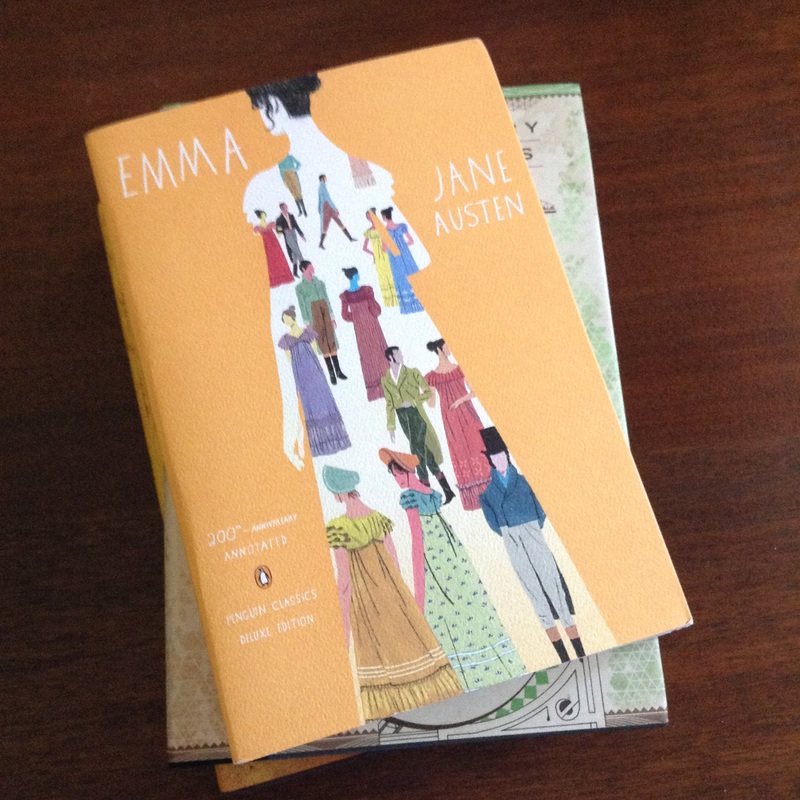 I love the new cover on Emma – it was my reread for Austen in August. I had hoped to read Emma for Austen in August, but alas, it didn’t come to be. A few of us (Audrey and Nadia) will be reading Emma this December if you’d care to join in. We’d love to have you! Also, you will indeed need something light(er) after A Little Life. Frances, I would love it if you joined in Emma! I wish there were a way to edit my comment above! Dang! I think I edited it for you, Suko, so that only the titles are italicized. And, I know what you mean about the song Hallelujah. It brings tears to my eyes every time I hear it. Thank you for editing my comment, Bellezza! Hallelujah is a beautiful song.